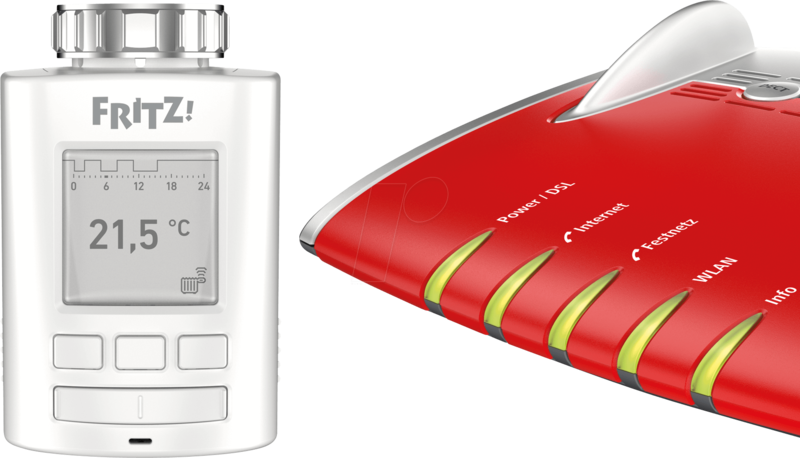 With FRITZ!DECT 301 you can control the room temperature automatically and precisely. 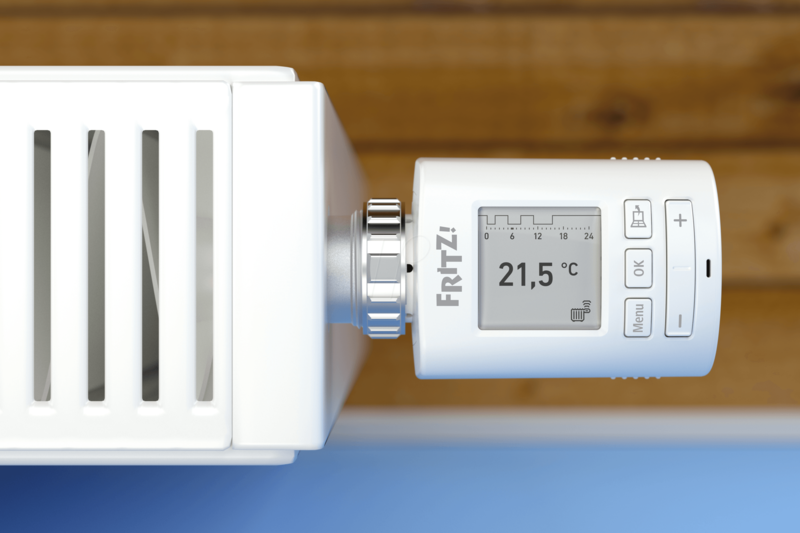 You can easily operate the radiator control with your FRITZ!Box, FRITZ!Fon or with the free MyFRITZ!App. 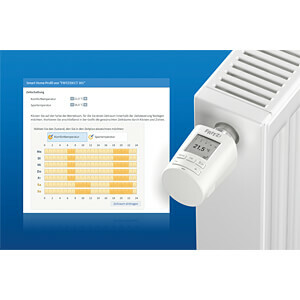 The smart radiator control helps saving energy, which leads to lower heating costs. Also, you will benefit from a selectable schedule, group switching and a simple setup. 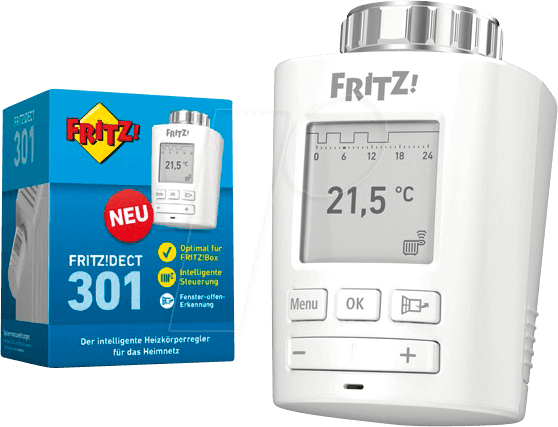 FRITZ!DECT 301 warms up your home at the touch of a button. Thanks to simple management via smartphone, tablet or PC, you can keep your home at a cozy temperature even while you're away. The economic e-paper display with its edged font improves legibility and simplifies manual settings. 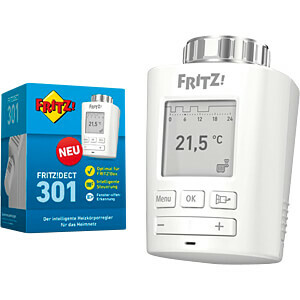 You can integrate the FRITZ!DECT 301 into your home network within minutes: insert batteries, push the DECT button on your FRITZ!Box to connect, and then mount the radiator control on your radiator – finished! The control communicates with the network via an encrypted DECT connection upon delivery. 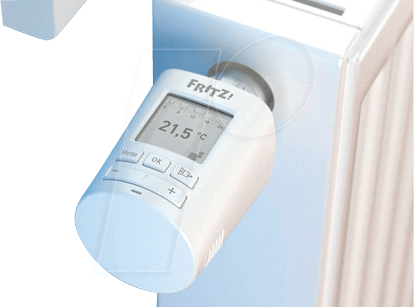 With an adjustable schedule based on your individual needs, you can define exactly when and how much heating is required. 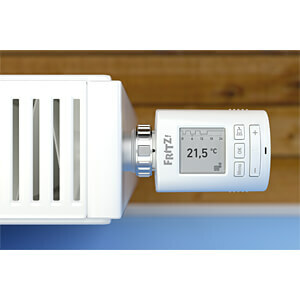 This way you'll not only save energy, but reduce heating costs by up to 30 percent. 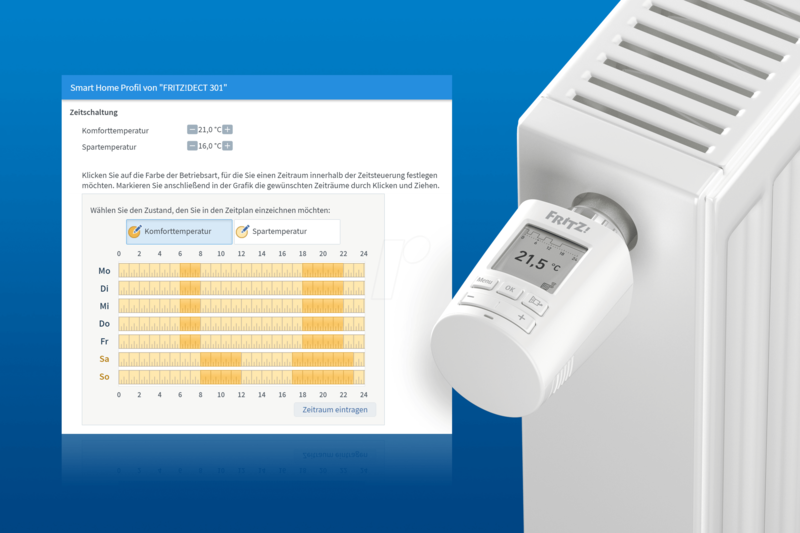 You want to adjust the temperature despite your configured schedule? No problem! 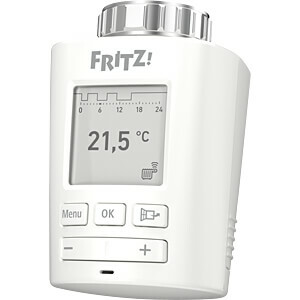 It's possible to adjust the temperature at any time, just use the FRITZ!Fon or your tablet/PC. 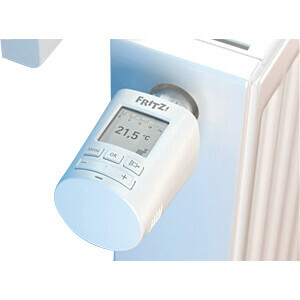 Plus, the radiator control has a button for changing the room temperature manually. 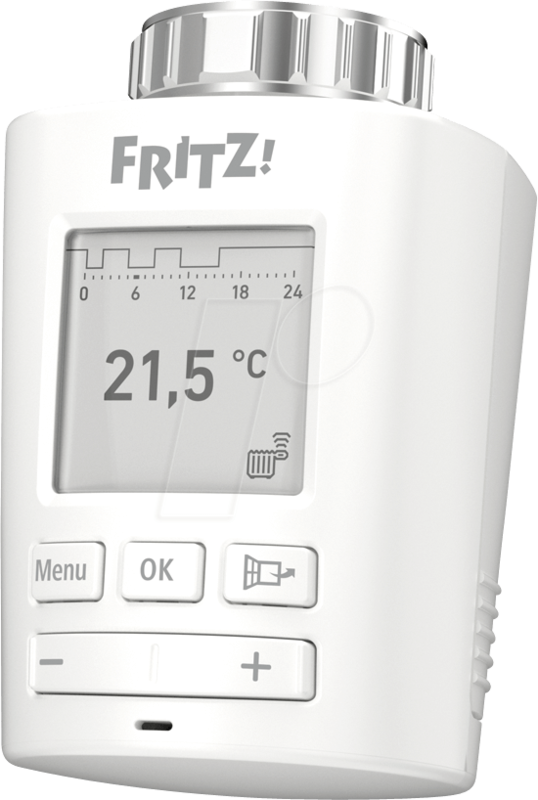 When you're away you can use the free MyFRITZ!App to turn your smartphone into a radiator controller. You can also access your settings via the Internet. Just as for all current FRITZ! 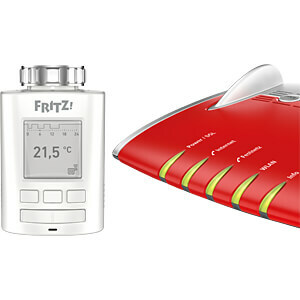 products, AVM also provides free, automatic updates for the FRITZ!DECT 301. These include new functions, improvements and security enhancements.